Cinnamon is sweet, woody, spicy, and all-around tasty and delicious. However, when you combine it with honey and a freshly baked bread, like in Great Harvest's Cinnamon Chip Bread, you'll get a combination of flavors that could make your taste buds explode! If you've tried this bread but would like some ideas on how to incorporate it into your meals, continue reading the post below. French toast is delicious in and of itself, which is why it is one of the most popular breakfast meals. Still, preparing it with Cinnamon Chip bread, and drizzling it with a bit of syrup and strawberries, can make it the tastiest breakfast ever! Be it for breakfast, an afternoon snack, a pre-workout bite, or dessert, peanut butter toast with apple slices on top can hit just the right spot. But, adding the tastiness of a Cinnamon Chip bread is sure to turn this into your favorite meal! Lastly, if you love the sweetness of bananas and the tanginess of strawberries, then this idea is just for you. Toast a bit of Cinnamon Chip bread, spread mashed banana on it, and add some strawberries on top to make the perfect refreshment. 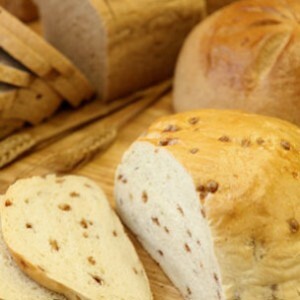 Make any meal you prepare that much more delicious with bread from the best bakery in Austin, Great Harvest! Their bread is the freshest, tastiest, healthiest bread in all of the land. Call (512) 329-9216 to learn more about their menu, which is sure to delight your taste buds.